Have you ever dreamed of owning your own business? Kerb Machinery Australia can help you realize your dreams! Our state-of-the-art concrete edging and turf cutting equipment utilizes the latest technology and is the easiest to operate and maintain on the market today. We are continually improving our products and processes, ensuring you'll have the latest machinery and products you need to attract and satisfy your customers in the residential or commercial field. We also lead the field in all the latest designs in Hand Stamp and Stamp Pattern Rollers to suit any application. From the backyard shed and a pile scrap metal in 1973 to the precision of manufacturing in top quality machinery today, Richard Eggleton has changed the gardens of the world. 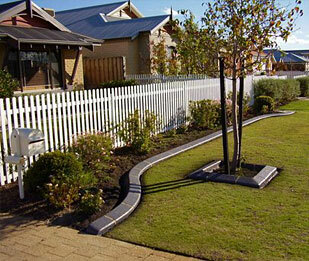 The kerbing is both decorative and functional. 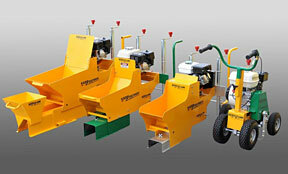 Kerb Machinery Australia has 3 kerb machines and a turf/sod cutter to choose from today. We also can manufacture moulds and hand tools to your specifications. Kerb Machinery Australia is manufactured by Borderline Queensland and is proudly all Australian (design, built and tested). I started working with my Dad in our hometown of Wagga Wagga, New South Wales, Australia at the tender age of 14. My Dad was a concreting contractor, and that is where I attained my knowledge and passion for all things concrete. KERB MACHINERY AUSTRALIA has the latest equipment on the market today. 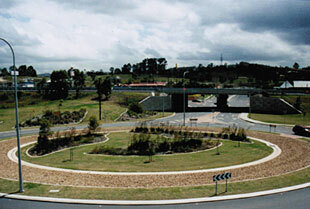 The original concrete kerbing equipment is designed & manufactured in Australia and exported worldwide. We have state-of-the-art and highest quality equipment. Richard Eggleton, who has led this field since 1973. Richard also owns Patents and Design Rights not only in Australia but in several countries. The handyman is designed for people wishing to start up a small business without the big overheads, or for the weekender jobs. The K40 is a heavy duty machine which is the Rolls Royce of kerb machines. The K50 is a large heavy duty machine used in the commercial field. Specifically for use with the kerb machine. Call us on 0437 961 512 to discuss your kerb machinery requirements. © Copyright 2015. Kerb Machinery Pty Ltd. All rights reserved.